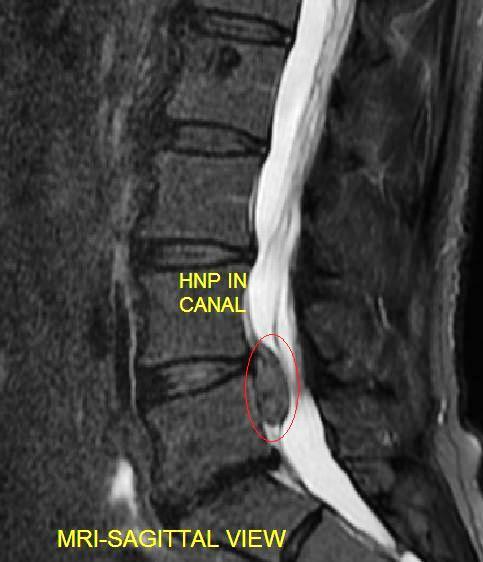 Do Disc Herniations Cause Pain? 1. Chemical irritation. When a disk herniates, the soft inner component of the disk, called the nucleus will penetrate the outer wall of the disk ( the annulus) and allow certain components of the disk to spill out. These components include enzymes, cytokines, and other chemicals that have certain effects on the surrounding tissue. To make an analogy, the materials can cause a “chemical burn” effect on the tissues, causing the body to react by mobilizing an inflammatory reaction. These chemicals are currently being investigated in detail, hoping to find a quicker way to collect, or dilute or deactivate these reactions, therefore, potentially decreasing the pain and other effects caused by this “chemical burn”. 2. Direct nerve irritation of certain specific nerves. Located near the outer fibers of the annulus, are the so called sinu-vertebral nerves. Most spine researchers agree that these nerves have potential to generate pain when irritated. With disk herniations, the annular disrupts, and has potential to irritate this nerve. The pattern of pain is not always classic, but irritation of the nerve can lead to spine related pain and discomfort. 3. Mechanical pressure on the nerve sac, or the actual nerve. The spine does a wonderful job protecting the nerves and the spinal cord, while still allowing motion. The spinal cord, and the individual nerve fibers in the spinal canal is encased in the dural sac. To make an analogy, the dural sac is like a garden hose, and within the water filled hose, are individual nerves and the spinal cord, floating within that cord. Normally there is room within the dural sac, so that stretching, bending, and some compression of the sac will not cause direct compression on the spinal cord, or the individual nerve. But sometimes, the stretch, or compression is significant enough to cause irritation onto these individual nerves, or the spinal cord itself. As stated above, the fluid filled dural sac usually has enough space to allow movement for the individual nerves or cord within the sac. But, significant disk herniations, fractures, or other causes of significant compression can cause actual entrapment of the nerves or the cord. 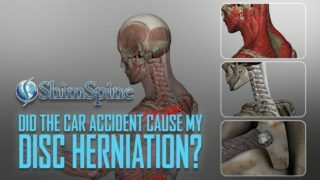 By these three mechanisms, we can usually explain the rationale for treatments prescribed for symptomatic disk herniations. 1. NSAIDS, Epidural steroid injections or oral steroids are designed to decrease the inflammation caused by the “chemical irritation”. 2. Narcotic medications can also dull the pain but should be used for as short a time as possible to avoid addiction. 3. Physical therapy can relax the inflamed muscles, and strengthen the core muscles, preventing further pressure on the annular disruptions. 4. By decreasing the pain, the patient can give the body time to decrease the inflammation, eliminate the chemicals, and allow the herniated fragment to dehydrate and shrink away from the cord or the nerve. 5. If, however, the pain is too severe, or if there is further development of weakness, surgery can be a reasonable and effective alternative. Dr Shim thanks for such understandable posts. And Rush very interesting but I’m sorry but as clear as mud to me. Any pictures and simplified articles . Does this apply to muscle pain as well as nerve pain, arthritis pain, disk protrusions, herniations. And why does staying likely active cause these “bugs” to dissipate. ? Thanks for your continued interest in the site. This is a very difficult topic, but the theory is that there are definite materials that cause pain to the nerves. Various companies have spent a fortune trying to isolate these materials, and there is alot of promise out there about isolation of these materials, and subsequent treatments. It is a bit of the “Holy Grail” of trying to find out what truly causes pain. If the science is correct, you could imagine the ramifications. To give an example, if the compound that mediates pain to the spine is truly found, and can be measured, then we can obtain tissue or fluid from that spine, and definitely say that the pain generation compound is identified. There would no longer be any doubts if there is a true pain. In otherwords, there is no more doubting the patients complaints of pain. Then, if there is a way to erradicate, or wash out that compound, there can be a potential cure for the pain. Or, if there is a question as to the source of a pain, the testing for the compound can settle the question. We have seen multiple instances where is is not clear what is the cause of the pain in the same person. This same person has a disk herniation, and a mensicus tear in the knee. By sampling both areas, we can see if these pain generating compounds are located in those body parts. If there is identification on the compound in just one area, that body part can then have care directed to that part, and thus avoid uncertainty of treatment, or over treatment. These compounds are being identified in multiple body areas, and research is being conducted to confirm the validity of the pain generating properties of these compounds. Also, companies are already trying to develop measurement processes, as well as potential treatments based on these compounds. Very exciting stuff. But, we will still a have to wait to see if the research can be applied to the current situation. As a personal injury Attorney, I am sure you can see the ramifications for this research and this potential measurement test. Still, there are issues of causation. But, at least, we can isolate if the pain is truly present, and for which body part. Stay tuned. Full disclosure, I am an investor in one of these companies called Cytonics. Luckily we now know what causes pain. My team at Cytonics discoverd the protein complex responsible for nerve/back pain. It is a protein complex of fibernectin and the 3rd domain of the agrecan structural protein. Individually they do not irriate the nerve, but together they really hurt. The agrecan domain or piece of the protein is the part of the damaged protein that the fibronectin, a ubiquitous protein that travels throughout the body acting as a “garbage truck” picking up bits and pieces of broken proteins and rubbing up against the nerve to let you know you’ve damaged something. Once these fragments are clear, no pain. This is likely why staying lightly active and not laying down helps the pain go away faster. My new company, Juvent, is working with a unique vibration platform that promises to help remove these fragements quicker AND to help increase the number of circulating hMSC’s or mesenchymal stem cells which help to lower inflamation, but also can differentiate into new, healthy tissue. Some think it is the future of medicine. If there are too many fragments to clear quickly, then surgical intervention can quicken the removal of these fragments and more quickly lesson the pain. Try gentle motion first, hot and cold packs, NSAIDS (which increase blood flow), and a gentle vibration platform. If that doesn’t work, then surgical decompression from and expert like Dr. Shim can help. Thank you for your comments. I am following the developments at Cytonics with great interest. 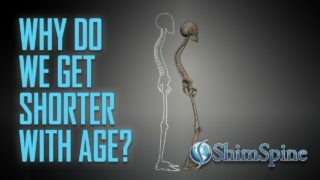 Yes, there is significant potential and hope that the techniques developed with companies like Cytonics and Juvent can provide relief for so many disk herniation patients. Interesting discovery of the protein complex that causes pain. Has the result been published yet? Is so, could you please provide a link to the publication? Thank you very much for sharing.